For diabetic patients, accidental needle sticking is a common affair. With The BD AutoShield Duo Pen Needle, that is quickly becoming a thing of the past. This entry was posted in Syringes on August 7, 2014 by admin. Ultra-Fine or Micro-Fine Needles Which Is For You? Becton Dickinson has made diabetic history on several firsts. This includes different innovations of insulin, the syringe and needles. BD also makes products that provide comfort and simplicity to diabetic users. The BD Ultra-Fine Needle allows diabetics to administer insulin without a lot of issues or complications. This needle is a 30-gauge that is used in syringes. With this particular needle, the syringes come in three different sizes: 1cc, ½ cc and 3/10 cc. 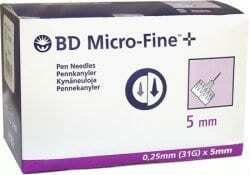 BD also has another needle called the BD Micro-Fine IV Needle. It is a 28-gauge needle that measures 12.7mm. This needle has been around for a while and people depend on its durability. The syringes for this needle come in the same three sizes as the BD Ultra-Fine Needle. The gauge measurement depends on how long the needle length is. That would be decided by you. There are two lengths of BD needles: 12.7mm and 8mm. The first one can be purchased in both 28 and 30 gauge measurements. The smaller one has only one gauge measurement and that’s a 31 gauge. Choosing a needle length is important, whether it’s for an ultra fine needle or a micro-fine needle. A lot of people prefer to use shorter needles with the syringe. The gauge measurement of choice is 30 or 31. This is because the needles are thinner in this size. However, there are people who will use the 28 gauge measurement. The needle is thinner if the gauge number is higher; if the gauge number is lower, the needle will be thicker. If you decide to use the 31 gauge measurement, consult with your physician prior to use. Since this needle is shorter, the control of your blood sugar may shift. If you are overweight or obese, you may be able to use a shorter needle. Before you make that decision, you should also consult with your physician. They will be able to determine if the short needle is the best option for you. If the decision is in your favor, you may have to check your blood glucose level more often if you decide to use a shorter needle with your syringe. This is to ward off any issues with your blood glucose. If you’re using ultra-fine needles, they would be more easy to use because they provide more comfort to the diabetic. On the other hand, you will have some who will stick with the micro-fine needle length because it suits them just fine. There are other features of ultra-fine needles and micro-fine needles. They are manufactured with the comfort of the diabetic in mind. The needles are lubricated for an easy and smooth insulin injection. The needles themselves are made of stainless steel. Since the needles have to be of great quality and standards, they are checked out to ensure 100% satisfaction. More importantly, the needles are not toxic and are latex free. Another thing you should know when using ultra-fine and/or micro-fine needles is needle safety. You should not reuse a needle after the first go round. Not only can it cause injury, but it can cause infection, which can be very serious. When in doubt of which needle you should use, consult your physician for further assistance. This entry was posted in Syringes on June 29, 2010 by admin. BD (Becton Dickinson) Pen Needles can help you feel different you use them. They are certainly different that other needles. Their technology is more modern, and the BD pen needles are made so that your insulin injections are not uncomfortable. The pen needle is also made where it slides right into your skin. When it’s removed, the needle is straight as a pin. The needle is shined and polished and any imperfections are removed. Removing the blemishes from the needle helps it to penetrate the skin better and the needle won’t feel rough during injections. If these blemishes are missed during the process, the injections may be painful and cause discomfort to your skin. The BD pen needles are well oiled with a layer that is micro-bonded. This process will help the needle penetrate easily in your skin during injections. The needle injection will not feel rough to your skin. The feeling of friction will be nonexistent. During the manufacturing of the pen needle, the lubrication is applied. With the BD pen needles, the tips are shaped with three unique edges. During the injection, the needle edges separate your skin in three different ways. This is to help the needle inject into your skin without discomfort. Prior to distribution, the needles are checked thoroughly to make sure the standards are met. BD Ultra-Fine Mini Pen Needle – During injections, you don’t have to pinch your skin. This pen needle is used for children, adults with a thin or muscular frame or people who are scared of needles. The Ultra=Fine Mini Pen Needle is the shortest one that is used in the United States. BD Ultra-Fine Short Pen Needle – This needle is a hot seller. Most people use this size because they feel comfortable with it. The Ultra-Fine Short Pen Needle also allows the insulin to flow properly through the skin. BD Ultra-Fine Original Pen Needle – This pen needle is used for people that require a lot of insulin or they cannot use shorter needles. The BD Ultra-Fine Pen Needles can be utilized for a 20-unit function check. The BD Pen Needles can be used with the following brand insulin pens: FlexPen, Levemir FlexPen, NovoPen, NovoPen Junior, Innovo, InnoLet, NovoLet, and InDuo. The pen needles along with the insulin pens can be purchased at stores and pharmacies in your area. The cost for the BD Pen Needles is different at each store or pharmacy. You can almost equate that to the price of BD Ultra-Fine syringes. You will have to check with your health insurance provider to see if your coverage includes the cost of BD Pen Needles. Check with the medical and the prescription benefit of your insurance plan. Regardless of which pen needle you use, BD only has one ultimate goal in mind. That goal is for the diabetic to be comfort free when giving themselves injections. Becton Dickinson (BD) has two kinds of safety-engineered insulin syringes. One is called BD Safety Glide and the other is the BD Safety-Lok. These kinds of syringes are made to protect those in the health care industry and related fields from accidents and injuries resulting from being punctured with the needle. With the BD SafetyGlide, you can use one hand to slide the arm of the syringe; however, with the BD Safety-Lok, you need two hands to slide it. The BD SafetyGlide syringe is used in three different sizes (1 ml, ½ ml and 3/10 ml). The syringes are packages in a count of 100 per box. The syringes are designed to only be used once and are labeled as such. After that, they should be properly discarded. If you attempt to use the same one more than one time, you put yourself in harm’s way for an infection or serious injury to your skin. Reusing the needle can also mess up the needle tip of the syringe. The syringes are made to use with different sizes of needles. They can be used with the BD Ultra-Fine, BD Ultra-Fine II and BD Micro-Fine needles. The units that are used for the syringes are 1cc (100 unit), ½ cc (50 unit) and 3/10 (30 unit) types. If you use a larger gauge number, that means the needle will be thinner. When disposing of syringes and related instruments, they should not be done so freely. Use a clipping device to clip the needle. You should not be responsible for someone else’s syringe. If for some reason you have to, get professional training from trained healthcare personnel. If you are not experienced and accidentally stick yourself or someone else, you could bring exposure of injury or infections. A used needle should never be capped again or destroyed. A syringe that has been used should be disposed of in a container that can be tightly sealed. When disposing of syringes and related instruments, you should use a plastic or metal container that has a top that can be tightly sealed. This container should not be in the reach of infants or children. It should be discarded immediately upon full capacity. When storing unused syringes, they should be placed in a dry place. The syringes do not expire and do not have an expiration date. 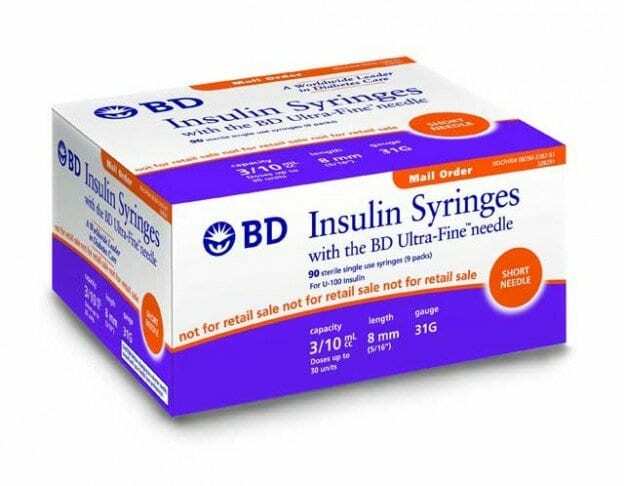 BD Insulin Syringes should only be used for just that—insulin. When purchasing the BD syringes, they will already be sterilized, so you don’t have to concern yourself about germs or infections. These syringes can be purchased at stores and pharmacies in your area. If the one you’re looking for is not available, check with your pharmacy or physician to see about ordering some. Prices for the BD syringes will vary at each location. The BD Pen Needle Which One Would You Use? More diabetics are using alternate ways to administer insulin. The original syringe is not the instrument of choice anymore. Insulin pens are compact and easy to use. They look like writing pens with ink cartridges. The difference is that instead of the ink cartridge, you’re using insulin instead. These instruments can be discarded after use. 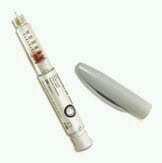 The insulin pen is used with a tiny needle that is at the end of the pen. You can choose your insulin dosage by using a dial that is on the instrument. The insulin is administered when you activate a plunger that is on the pen. Using the right pen needle is crucial for insulin administration. The BD Ultra-Fine III Mini Pen Needle is the shortest one that can be used. This pen needle can be used by adults and children alike. You can administer insulin without having to pinch your skin prior to injection. However, it is recommended that you consult with your physician prior to using this pen needle in your insulin pen. The BD Ultra Fine III Short Pen Needle is thin. It’s also the most popular of the three pen needles used. Most people that use this one obtain effective administration of insulin to their body. Because this pen needle is thin, it may not be effective if you are overweight or obese. If you are in either category, you should consult with your physician prior to using this pen needle. The BD Ultra Fine Original Pen Needle is wide. This pen needle is good for those who take bigger doses of insulin. It is also good for those who have problems moving around. With the wider width of the needle, there is an easy to administering the insulin into your body. It is not advisable to reuse needles after initial administration. The pen needles can easily break due to the fact that they are thinner in size. They are also more fragile. If used again, the needle’s tip can be damaged and you may cause injury to your skin. BD Pen Needles can be used in the following brands of insulin pens: NovoPen, NovoPen Junior, Innovo, FlexPen, Levemir FlexPen, InnoLet, NovoLet and InDuo. They also can be used on brand insulin pens: OptiClik for Lantus and Apidra. The pen needles are available at stores or pharmacy in your area. The cost for these pen needles vary in each store. With these BD Pen Needles, you should be able to feel a difference when administering insulin in your body. The modern technology the company uses provides comfort while injecting. It also provides for a safe and smooth injection of insulin in your body. You can choose from three different kinds of pen needles to suit you. Whichever one you choose, all of the BD Pen Needles are reliable, non-toxic and are free of latex. You can be assured of the finest quality and lubrication. This can help you not to have a frustrating experience while you’re administering insulin in your body.